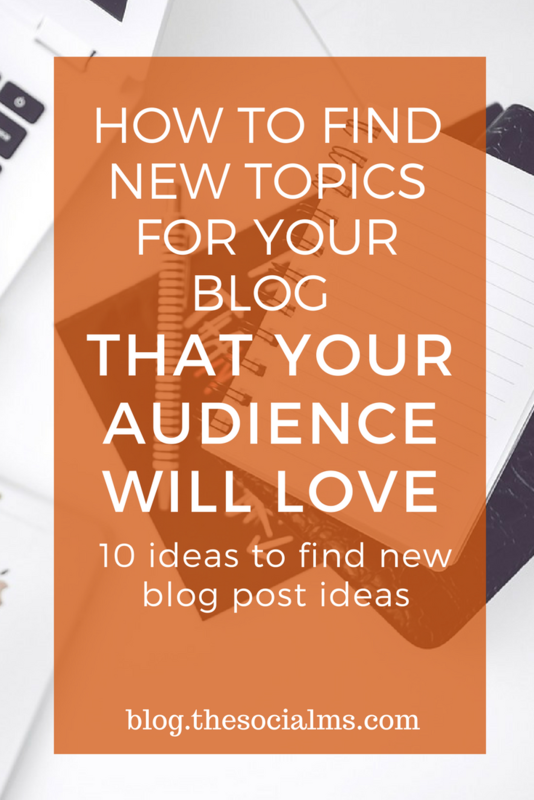 Every blogger knows how it feels: You need a new post but you are stuck on ideas. The harder you try to come up with awesome blog post ideas – the less creative your feel. When you are just starting out, you have a ton of ideas and you jump right in, creating post after post. But when you are already at it for a couple of months or even years, there are times when it seems as if you already covered every relevant topic and every angle. So, what now? That is when you have to learn to think about how to fill up your creative mind with blog post ideas again. And you can make a habit out of it. 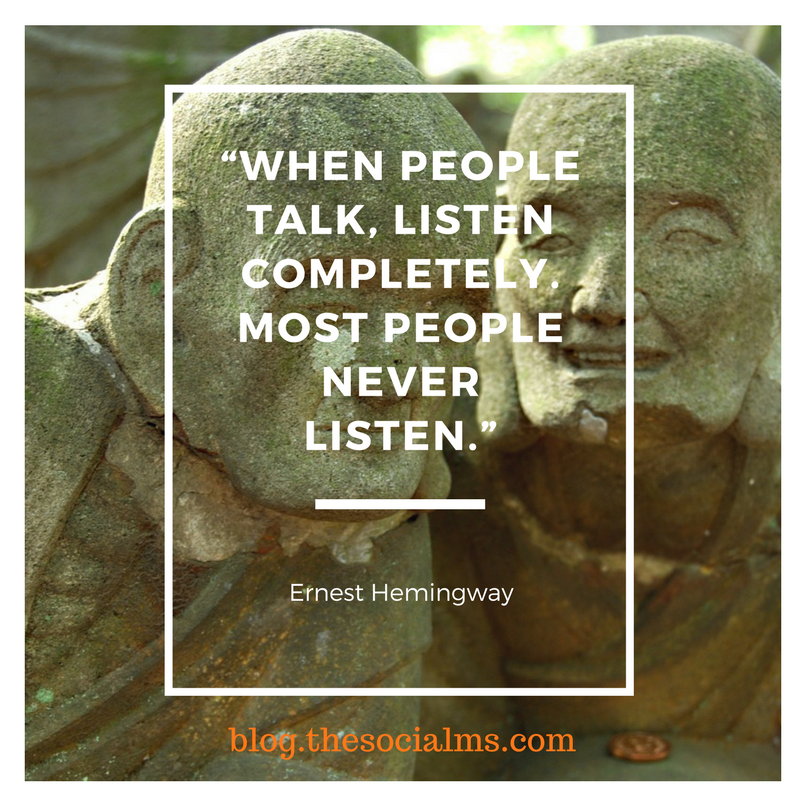 Most of it has to do with listening and transferring what you hear into post ideas. You blog for an audience and your audience is the best source for topics you can write about and questions your blog should answer. The question is NOT “how can you write more about your products.” A significant mistake I see beginners make is that they think far too much about what they want to tell their audience and by far not enough about what their audience is interested in. Turn around and listen to your audience wherever and whenever you can. Whether you do consulting or sell a product, you will have some customer contact. And in this contact, questions and topics will come up. If you listen closely you will be able to identify questions that are more common than others and relevant to a larger part of your audience. Your chances are good that if your customers ask questions, others from your target audience are also interested in the answers. I have found multiple post ideas in consulting projects and direct conversation with customers. Have you ever sat in a conference talk and while listening to the speaker you thought: „Wait, that is wrong“ – or „Wow, valid point that is interesting.“ Take these thoughts back home (or to work) with you and turn them into a post. If they caught your attention, the chances are good that they will catch the attention of your audience. Sometimes the comments you get on your blog can give you awesome post ideas. There are various scenarios that make for great content. A vivid discussion with multiple viewpoints can be awesome, you „simply“ have to sum up the controversial aspects and add a little of your own opinion. Another way to use comments is again to simply pick up a question that you think could be of interest to other people from your target group and write the answer as a blog post. Not everyone is doing webinars but the comment section or the Q&A session is often a great place for inspiration. For instance, we are doing a series of webinars right now and some questions seem to come over and over again. While we could consider redoing the content or the webinar to make sure the questions are answered, some questions simply are too important and the answer would be too complex to add it to the webinar itself. But the questions are great ideas for posts and we can be fairly sure that a number of people from our target group will have the same question on their mind and love the blog post if we create one to answer this question. If you are active on Pinterest your feed will be cramped with awesome blog titles. At least if you use Pinterest for your blog topics. But even if your feed is cluttered with other stuff, you can simply use the search function and get a ton of articles on the chosen keyphrase. This should help you get a ton of new ideas. Simply make sure that you don’t simply copy a title – or even worse a complete post. If you participate in Twitter chats (or even host one) these can give you multiple post ideas. 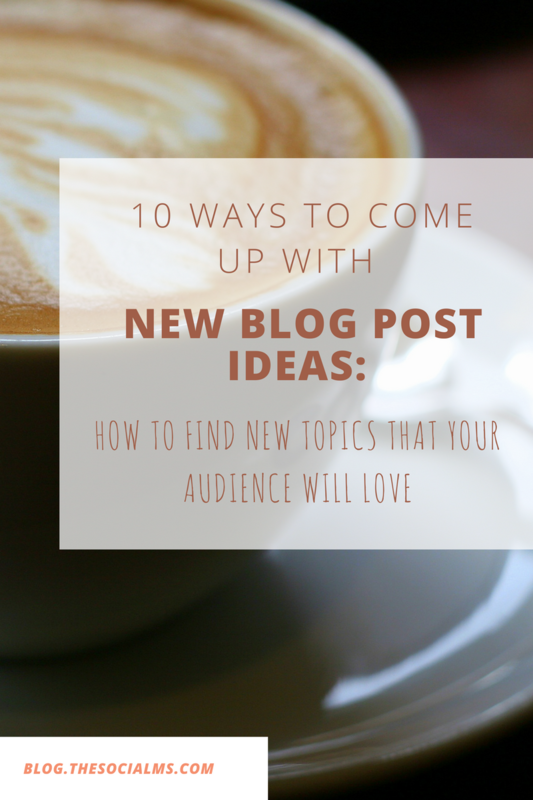 Anywhere where people talk about your niche and topics, you can find inspiration for blog posts. And Twitter chats are awesome because you usually get a ton of questions – and the answers will have to be limited for the simple reason of how Twitter works. This idea assumes that you have a fair number of engaged followers. I have used my Twitter followers in multiple ways to come up with new posts. You can ask for input for a post idea you already have. I did that for my list of books for bloggers and got some awesome suggestions. I recommend to all bloggers and entrepreneurs to join a couple of Facebook groups from your niche. Make sure you find active groups where there is more going on than just self-promotion. The more discussions, questions, and conversations are going on the more inspiration will you be able to get and the more value you will get out of your participation in the group. At almost any networking event I went to at least some of the conversations are about what everybody does. If you have an interested counterpart they usually keep the conversation fueled with some interesting questions. When you get home, reflect and reconsider what the people you talked to were interested in – most of the time you will find some topics that may also be of interest to your blog audience. Wherever you have the chance to talk to people from your target group – or to competitors and experts from your niche – you can find ideas for posts. 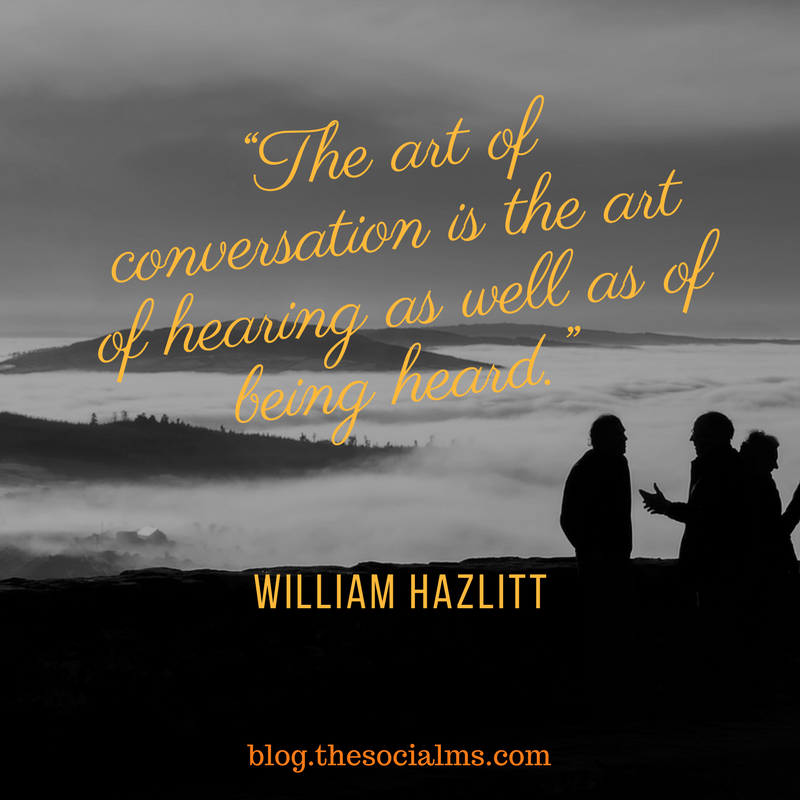 You simply have to keep your ears and mind open and transfer the conversation to a blog post idea. It takes a little practice but once you have done it once or twice, you will notice how much inspiration and ideas are simply thrown at you if you keep an open mind and ears.